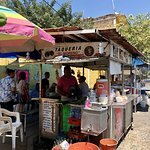 We were introduced to Tacos El Moreno on a food tour in PV. 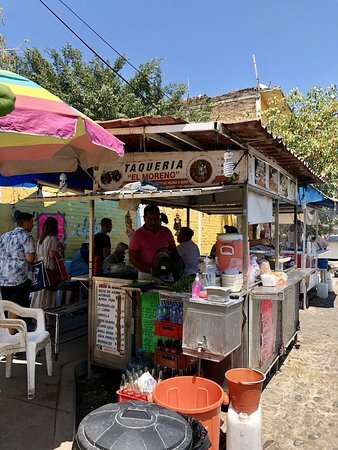 Of the half dozen taco places we ate at, Tacos El Moreno is the one we kept coming back to. Delicious. If you're in PV make a point to stop here. My husband and I stop here every time we come . The tacos are the best , burritos are filled and the horchata delicious. We always meet new people eating here. Cant wait until our next visit. 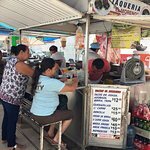 We found this food cart through a Vallarta Eats food tour. Great quesadillas here on freshly made tortillas. We had them with adobada pork and all of the fixings. Very good and very filling. They also have many other items on their menu. 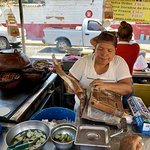 The tacos are delicious and the lady makes the tortillas right there in front of you. The prices are really low as well. 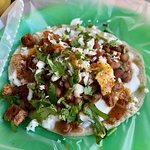 Great cheap tacos on handmade tortillas. 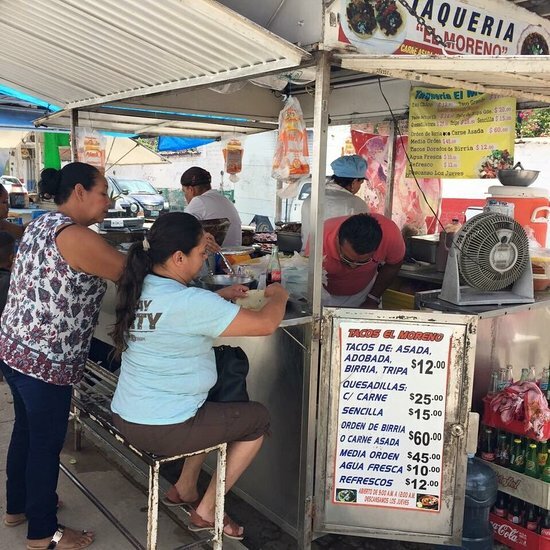 At a 1 dollar a taco, cant beat that!! 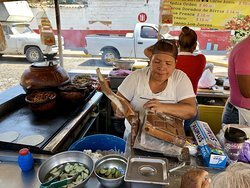 not only are they cheap, they are delicious with tortillas being made right in front of you. Get quick answers from El Moreno staff and past visitors.